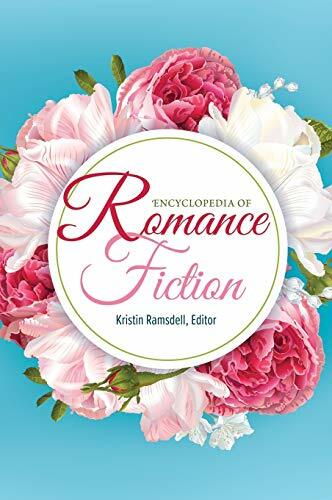 I'm up to bat over at Access Romance Readers Gab today talking about variety and a well-balanced romance reading diet. Do you have one or do you gorge on just one sub genre? I've seen this NPR story linked at a few blogs this morning, but figure it bears overexposing - Is Your E-Book Reading Up On You? Do you have one of those spiffy readers with a wifi connection? Well, the company you bought it from may be harvesting information about you. Hell, everybody tracks everything you do these days. Whether it's your grocery store, your Internet browsing, your credit card company, or any multitude of the "rewards programs" that retailers offer these days. But as a librarian, I'll admit someone tracking what the heck I'm reading makes me twitchy. It also makes me really happy that I have an ancient Sony PRS-505 with no wifi. Of course I'm still buying ebooks from online retailers, so it's not like I'm totally in the clear. It's the society we live in these days, but frankly Big Brother doesn't need to know what Harlequins I'm hording. 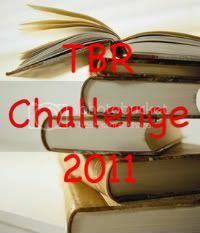 Yesterday's posted review marks the end of the 2010 TBR Challenge. I'm so immensely proud of myself for sticking with this challenge all year long, and completing all twelve months! I'm planning to do a general round-up post before the end of the year, complete with links to all the reviews. In the meantime, if you haven't signed up for the 2011 TBR Challenge, which I am hosting this next year, what are you waiting for? The plan for tomorrow was to take Lil' Sis and Lemon Drop to Disneyland to soak up all the holiday goo-ga. But alas, it's raining here in So. Cal. Bah Humbug! We're going to play it by ear, but as the Magic 8-Ball might say: "Outlook Not So Good." Sigh. How hard is it raining? If the rain isn't bad then grab your sister and Lemon Drop, pull on your rain gear and go. The absolute best trip to Disneyland I ever had was on a mildly rainy day during the holiday season. The crowds were light enough that we could see everything and we got to ride all the good rides with no lines. I'm thinking positive thoughts. I thought today would be a nightmare and everything went fine. Plus I don't plan to come out until after lunch - maybe it will be "misty" only in the morning - just like it's been all week. LoriK: I was raining pretty good during the wee early hours of the morning, but then it tappered off to a drizzle and was pretty nice this afternoon! So hopefully tomorrow will pan out. Lil' Sis: That's what I'm hoping! Plus, I just realized that I can buy the tickets online and print them at home - so that means we can "wait and see" for a while longer if we have to. 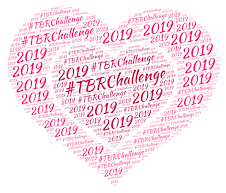 I'm really tempted to sign up for the TBR challenge because you're hosting... but I didn't do so well this year and I thought it'd be nice to be challenge-free for 2011... Hmmmm. Nath: Looks like the trip is going to happen. So far....the weather is holding. We're not going until later though to see the Christmas lights - so....hopefully the weather will still be decent then.